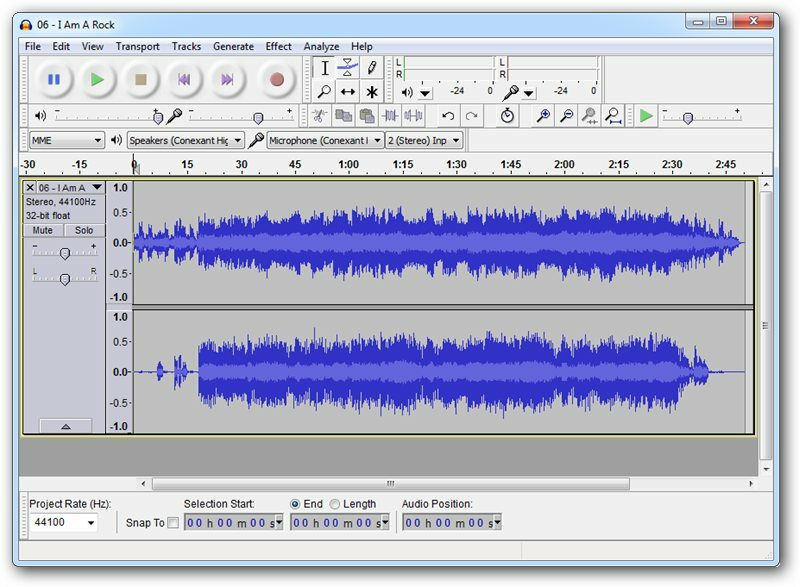 Audacity is an easy-to-use, open source audio editing software program that is available as a free download. It is available for Macs, Windows, and Linux operating systems. Audacity has a variety of features that can meet the needs of a range of audio recording projects, from very basic short live recording to more elaborate, multi-track projects that combine audio from a various sources. Audacity project files can’t be uploaded to YouTube, websites etc. They have to be exported into an audio file like WAV or MP3. iTunes and QuickTime Pro or other editing software may be necessary to complete the final steps of your project depending on the desired final product. When digitizing other’s work, interviews, or lectures, you have to consider copyright and Institutional Review Board issues, including permission from people who are getting recorded. Audacity is available on computers in Taylor 205 and in the Sound Studio. Audacity can be downloaded for Mac, Windows, and Linux from their website.